Kids tend to be common-cold factories especially when they socialize with playmates in school or in play groups. A runny nose, sneezing, even an occasional cough are usually just symptoms of a rhinovirus infection of the upper respiratory tract, a.k.a. a cold. But cold symptoms often overlap with other conditions, including allergies, sinusitis, and the flu. 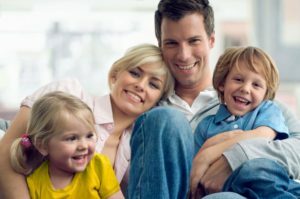 Knowing the symptoms of rhinovirus infections as well as symptoms for other similar conditions can help you know when to send the little one to bed with some chicken soup and when to take her to the Birmingham pediatric ear nose and throat doctors (ENT) for a check up and treatment. There are more than 100 different viruses that can cause what we know as the common cold. Healthy adults can expect to have about two to three colds per year. Kids under age 6 are even more susceptible to the sniffles. The best course of treatment for kids with colds is bed rest and plenty of healthy liquids such as water, chicken or turkey soup, and green tea. Buckwheat honey has been shown to control coughs in children, teens and adults. However, you must never give honey to an infant younger than 1 year old because they are at an increased risk for botulism. Mentholated vapor rub can be used to decrease the severity of a cough and to help aid sleep. Zinc sulfate syrup or tablets formulated for children can be given during the first 24 hours of a cold to help reduce symptoms. Never use or request antibiotics to treat a common cold; colds are caused by viruses, not bacteria, and therefore will not respond to antibiotics. Overuse of antibiotics can cause your child to become resistant to their effects, which could pose a health risk in the future. Avoid over-the-counter cold medicines for children when possible. These tend to be ineffectual and can cause a range of unwanted side effects. Aspirin should never be given to babies, children or teens. Visit WebMD.com to learn more about nonallergic rhinitis symptoms. 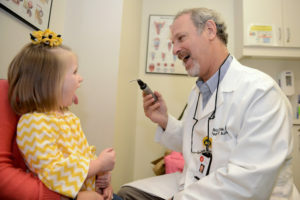 If you suspect your child has something other than just a common cold, don’t worry: The board-certified physicians at Pediatric ENT Associates are ready to help you with a consultation and evaluation. You can reach our offices in Birmingham, Alabama at 205-831-0101 or contact us online.